Did I mention this will be a brief bio. Well Mitch will have a novel written about him some day. This is a brief recap of the last few years and a touch on his early life. To know some of his soul, just read his lyrics. He pours it in thick. Visit the lyrics link page for a sampling of what I mean. Mitch McVicker was raised in Kansas, and his home now between tours is Nashville. He had what he called a typical mid-America upbringing. Both parents were teachers and he shared that childhood with his sister Andrea. His mom being a music teacher, started his music path at 2. They gave him a guitar complete with several years of lessons when he was 11 to round out his ever consuming sports pursuits. His expectations were a pro basketball player and through mid college this path was aggressively supported and pursued by Mitch and his family. At Friends University he studied religion and philosophy and this changed those plans. Mitch met and was befriended by the top respected artist in the Christian music industry. Rich Mullins had decided he needed a music teaching degree and went to Friends University to get it. God is good. Crossing the paths of these two at just the right time. God is good. They just hung out together, music wasn't their common ground, just having fun as students who shared the same studies was the link. Rich was instantly taken by figuring out the what makes this guy tick, and told his best friend and often music collaborator, hey I just found Frank. Rich and Beaker had visions of doing a musical based on the life of St. Francis of the Assisi. Rich told Beaker after a first encounter with Mitch, if we want to understand Francis, if we want to know how to build the plot we need to study this Mitch guy. They were friends hanging together, and music was never a bond then. In fact Rich stumbled on Mitch in a dorm room after having known him for quite a while and was blown away that his friend was playing guitar.. and that he was good. I can only imagine the grin on our Lord watching and orchestrating all this. They were graduating at the same time May 95. Rich was set to go to New Mexico to start his new focus, teaching music. He asked Mitch if he wanted to come work with him. Mitch had nothing planned and took the journey with his friend. They moved to tiny Tse Bonito, N.M., just across the state line from Window Rock, Ariz., the capital of the Navajo Nation. The two eentually built a couple of dirt-floor Navajo hogans for their homes. And although Mullins and McVicker continued to tour and record music, their base of operations from May 1995 until Mullins' death was Tse Bonito, where they spent much of their time volunteering with youth ministries around the Navajo Reservation and the Zuni Pueblo. They started collaborating on songs. On a drive to Pinon, Ariz., Mullins and McVicker wrote the song "Heaven is Waiting," from the Canticle of the Plains. In New Mexico, they were according to Mitch: "basically getting acclimated to the people, the area, the culture. So, we were just living, nothing fancy. We helped out where we could and really tried to get involved. We flew out on weekends to do Rich's concerts." They did a number of concerts from 95-97. Rich would have Mitch play with his ragamuffin band, but often just the two of them hit the road doing venues. Mitch played guitar with Rich. Rich very early on gave Mitch time during the concerts to perform his own music. Their friendship grew, and they continued to write music together. The Canticle of Plains, the music Rich dreamed about, came to fruition, when Rich, Beaker and Mitch collaborated on both the sound track and the play. And yes, the lead character, Frank was sung by Mitch. By September of 97, both artists were ready to go back into the studio and record their songs. Rich had a collection that he was going to call the Jesus Record, and Mitch had a collection of 10 songs with no album title in mind. On the Jesus Record, they co-wrote My Deliverer, Nothing Is Beyond You and Jesus. On Mitch's album they co-wrote New Mexico and Gospel Rain. On the re-release of Mitch's album, he ended up recording the song My Deliverer that won song of the year at the 1999 Dove Awards. On the final day of recording the vocals for Mitch's first solo project, they wrapped up late in the studio and were heading back to Wichita for a benefit concert. Tragically they were involved in a fatal accident that threw both men from the vehicle. Rich was killed instantly, Mitch was alive but in very serious and critical condition. He was in a coma with head trauma, collapsed lungs, broken bones and a very uncertain future. Once again, God was good. He brought Rich home to heaven, and allowed Mitch to recover. A major miracle with our Lord's hands is evident with the outcome of Mitch. Since that accident, Mitch has been traveling two roads. One path down the road to his health recovery and the other path driven by his love of God and strong desire to expose the kingdom of God to people. His health is still healing, with double vision problems and nerve damage still being repaired by his Lord. On his second path, his vision is crystal clear as he delivers his music and message of love, hope and faith from God. This second path brought him to some familiar stops, some old friends and many new faces that are amazed by his talents and inspiring music. His companion for almost two years, the guy who shared the miles, vocalized with him and supported his vision was Brad Layher. The two together were equipped to give the crowds more than they imagined. Just a couple of guitars, harmonicas, hammered dulcimer, and incredible voices spread the Gospel for their Lord. 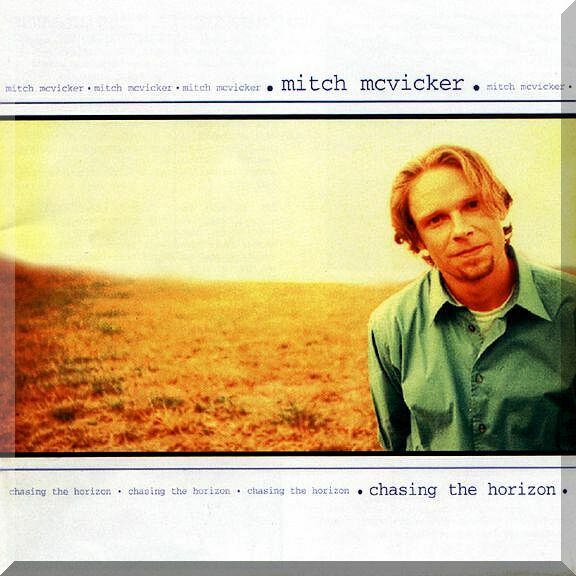 The music shared was from the Mitch McVicker ~ Self Titled, Canticle of the Plains, Chasing The Horizon, a few other favorite hymns and some other yet unrecorded compositions. The concerts were attended by a variety of people who came out of the events rejuvenated and inspired. 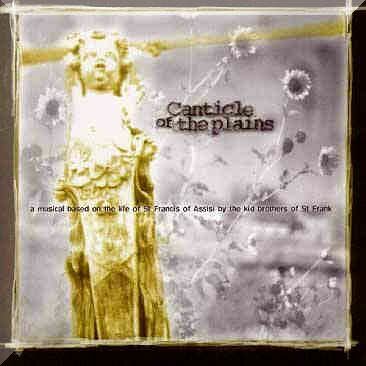 In June of 2000, they were joined by another friend, Joe Curet on percussions. Lots of miles, shared music, shared stories. Some of the stories just entertain you about their adventures. Some of the stories go right to the heart as he passionately reveals the Spirit, and the Gospel while he talks about Compassion USA, Jesus on the cross, the kingdom of God and faith, love and hope; themes that are intertwined in his music. Earlier in 2000 he released four new songs for the anxious music followers who couldn't wait for the anticipated next release of an upcoming album. Mitch has expressed that while it had been very draining touring that year, he knows he has been blessed to be able to do the thing he loves to do the most. Singing his songs, sharing the Gospel, spreading the love, hope and faith of Jesus. That is a talent he learned in part from his great mentor, confidant, friend, and co-writer Rich Mullins, who in retrospect said about Mitch: "Oh, this guy is Frank (St. Francis of the Assisi). If we want to develop the character of Frank, what we need to do is study Mitch," because he really is...Mitch is a pretty soft-spoken person, he's a very committed Christian, he's very gentle, but he's not wishy washy. I mean, he's a lot of those things that Frank would be, and a lot like what I imagined St. Francis was. Kind of a guy who kinda knew who he was, didn't worry a lot that he didn't know all the answers, but had a sort of a deep-rooted peace in him." And where did the path leading him next? Mitch had plenty of concerts planned, Link to his official tour schedule but he also took time off to take a trip with Compassion International to Thailand July 5-14. To read more about Thailand from Compassion International visit Thailand. Mitch had an awesome trip and journalized it for us in this journal. He made the decision in September 2000 to release the next project independent. I asked him about this and he said: "I decided to go independent because I grew tired of record companies waiting to see if I was legitimate. And I became increasingly aware that I might be able to do things almost as good as them. And I would have more control. It would be more rewarding. I just wanted something to happen. It's been sitting around too long. Call it impatience. Call it pride. Or, call it faith. My guess is it is all three rolled up into one." In the fall of 2000: September 29th - November 19, He participated in an exciting Compassion International touring event with a tour goal of finding 1,000 sponsors for impoverished children. This tour exposed his music to some people who haven't heard his remarkable gifts. The first self-titled record has sold nearly 20,000 units to date. The past three years Mitch has kept a busy schedule playing between 100 and 150 concerts a year. These concerts are what Mitch refers to as "the backbone of what I do. It is my chance to communicate with people and present Jesus and the kingdom of God." 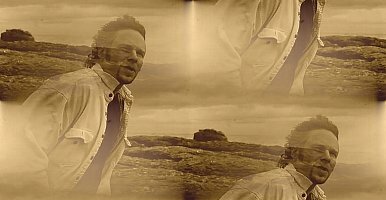 His sophomore record ~ Chasing the Horizon ~ includes the songs: When You Love, Burning The Fields, and Upside Down;a project that took a lot of his time and energy, was finally released March 6, 2001. This project was released under his own record label Out Of The Box. And once again Mitch went back on the road this year with his best friends, Brad Layher and Cobra Joe Curet. They continued to do what they love to do; playing music, spreading the Gospel, pointing people towards Jesus. The miles add up quickly each month and 4,000 is average. In March they had a crazy schedule and put on 7,000! They love doing what they get to do. Mitch's plans were to continue to be available to God and to stay on this path of doing concerts and writing more music until God gives him another life map. Mitch began to play some unrecorded songs at concerts. They were amazing and reflective of his contemplative talents. 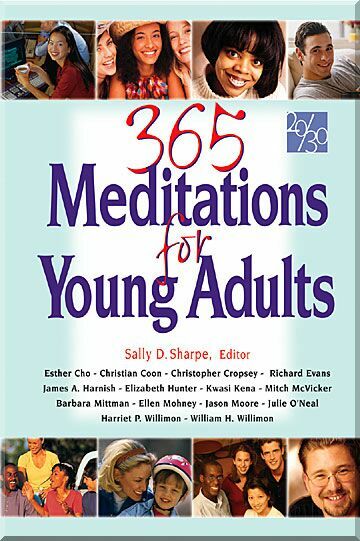 He also worked on a a daily book of meditations entitled, "365 Meditations for Young Adults", scheduled to be published by Abingdon-Cokesbury. Mitch was one of of twelve contributors and the upcoming project will give us a month's worth of his thoughts. In September he expanded the band with friend and bass player Jeff Weiss. Mitch was very excited about the fuller sound of his band and the incredible comfortability they all interweave their ministry. Where was he on September 11th? Mitch was recording a segment for the 700 club program. He had no idea until it was over. The show was delayed in being released until March 20, 2002. In 2001, Mitch was noted as Compassion USA's top spokesperson. Mitch's concerts have drawn in more sponsorships of children represented by Compassion than any other artist who works with the noted children's charity. Mitch polished those tunes he composed and started playing in concerts in 2001. He then took his friends, Brad, Joe and Jeff into the studio and had Mark and Jordan do their magic of producing and engineering the project. 2002 gave him wonderful paths and new journeys for both himself and his band. He released His 4th project/3rd Solo Album Without Looking Down in September 2002 on Spindust Records. Spindust Records is a newly founded Ray Boltz Label distributed by Word. Mitch and his band mates; Brad Layher, Cobra Joe Curet, and Jeff Weiss traveled extensivel, serving the Lord, spreading the Gospel in concerts throughout the USA. 2003 brought Mitch into the studios to help produce his friend Kevin Galloway debut CD: Reveal Yourself. He co-produced this project with Andrew Peterson and Jordan Richter. Mitch also contributed his own unique harmonica, mandola and vocals sounds. Mitch continues to travel around the United States doing concerts. some wonderful interview moments on his faith and music. **mitch on the book arrow pointing..
Mitch and band tour all over the United States. Some concerts were with Ray Bolts. Mitch has written enough new songs to complete at least 3 new albums. They music continues to point people towards Jesus. Mitch and his band recorded a concert and released it on DVD. Mitch and band mates, Brad Layher and Joe Curet, continue to put extensive miles between 100 concerts. In the fall, they were joined by Sammy Horner. He plans to continue spreading the gospel through concerts, recording music and writing. I am done with the new record and just watching and waiting as it "becomes" something. I am leaving for a run of concerts through the south in a couple of days. Booking concerts is going well. It is sunny outside...I can feel it on my shoulders. yet, a cool spring breeze blows...I can feel it on my face. Yes, things are good, but my happiness is not predicated upon these things. I am finding that pursuing happiness is kind of frustrating. When I place a bunch of trust expectations on my present circumstances, I am left feeling empty. Also, I just don't think I am "together" enough to handle it. Not only do I error on the side of placing to much stock in fleeting happiness, but I have the just-as-lethal flaw of rarely being able to embrace the goodness of situations. No...happiness never seems to live up to what I expect. it seems to be rather temporary. Contrarily, it is the gloriousness of moments that keep me going and move me along through life. The moments that are imbued with the glory of the Lord are the ones that help me appreciate the Lord's work in ALL things. The gloriousness of the moment points us towards our eventual, one-day-realized glory. Sometimes my haphazard pursuit of happiness superficially robs me of that expectancy and I miss out on how glory impregnates each moment with life. It is glory that allows me to embrace each moment while looking towards the future. Happiness is a little more shallow. It leaves me hollow when omy search for it just doesn't deliver. We put it on ourselves to find happiness. Glory is slathered upon us from beyond. So, I will notice the good and glorious things...the exilerating satisfaction of a concert, the sun breaking through the clouds. I will let all of this point my attention towards Jesus and His glory. It will remind me that i will one day be kickin it with Him. Mitch is a singer/songwriter with something to say...Years of songwriting and touring have matured Mitch into one of the finest storytellers in Christian music. Mitch is unabashedly a believer and shares his faith in his muse and prose. 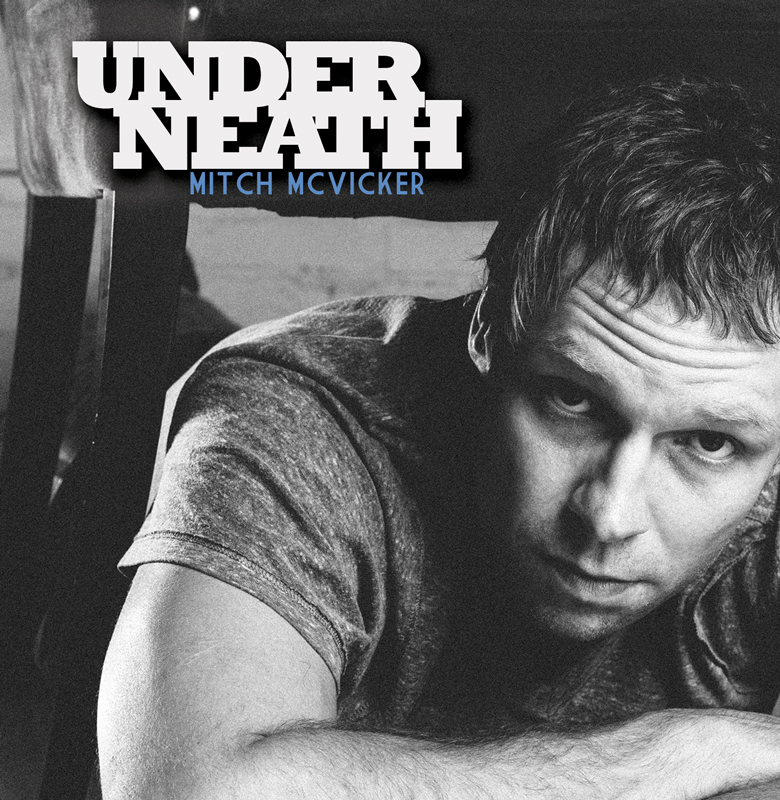 August of 2007 will see Mitch McVicker release his first studio recording in five years. 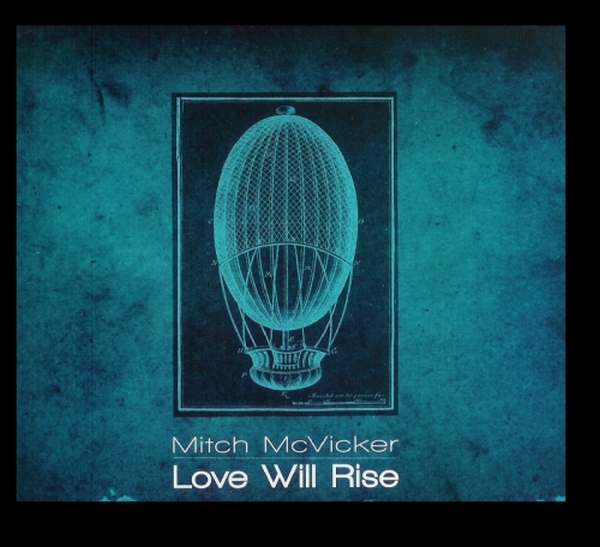 Love Will Rise, is the fifth record in McVicker's growing discography and has been consistently acclaimed as his best work to date. He continues to write deeply honest, introspective, and catchy songs. His award winning, chart-topping songwriting is a constant. This 13-song gem is a gift to all. "This has definitely been a labor of love, which inevitably means it has been a wonderful experience, a hard struggle, a growth process, and a great blessing...all at once," explains McVicker. " Love Will Rise marks the first time Mitch has teamed up with producer Nathan Nockels, who crafted nine songs, and Margaret Becker, who put her stamp on four tracks. "I am overwhelmed at the quality of musicians and people that have given life to this music and turned it into something more than it ever was before." 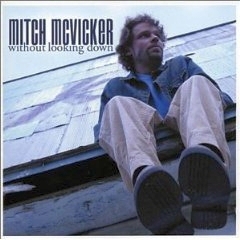 In the fall of 2007, McVicker will embark on a 50-city, 22-state tour, to coincide with the release of Love Will Rise. Mitch, along with his band, bring a simple, yet highly musical, and highly energetic concert to theatres, churches, coffeehouses, colleges, and universities. During the past five years, McVicker has been anything but dormant. He has traveled the country trying to direct people's attention towards Jesus. Mitch has done over 800 concerts in 49 states and believes concerts are the backbone of his ministry. His goal is to present Jesus and the Kingdom of God with each concert that he does. "Getting to do this is a lot of work...AND a lot of blessing. I want to embrace both," he says. "It is a beautiful experience to go here and there, interact with humanity, and rub shoulders with the body of Christ. Now, Mitch is glad to have "Love Will Rise" as a current representation of his present situation. "I am grateful to have had the opportunity to document where the Lord has brought me, up to this point. I am just trying to remain faithful to what the Lord is doing in me. And that is a process that we should never hurry." It was Rich Mullins who introduced Mitch to the contemporary Christian music world as he traveled, did concerts, and wrote songs with Mullins for 2 years. During that time, Mitch and Rich wrote, "My Deliverer", a Dove Award winning Song of the Year. However, in 1997, tragedy struck. As the two traveled to a concert, their vehicle overturned. 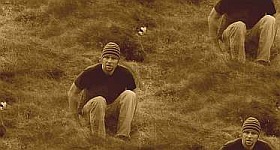 Rich Mullins was killed, and Mitch was left with serious internal injuries and a severe closed head injury. McVicker was in a coma and hospitalized for six weeks. During his two year recovery period, thousands upon thousands of people around the country rallied to pray for Mitch and send him cards. Where he is today is nothing short of a miracle. Mitch has no intentions of letting up, and he doesn't believe his focus will change anytime soon. He says, "All of this is an extension of my faith-walk with Jesus. Scripture says that we are to make our plans and then let God direct them. I am planning to do this for as long as God would have me do so." He sums it up in saying, "I will use this opportunity to place Jesus right at the front of people's conscience. Life is a wonderful blessing...that is also filled with troubles. Citing Romans 8, Mitch concludes, "I want to remind people that in ALL THINGS...love will rise"
His mission continued with over 70 concerts nationwide, 35 of these in the fall, that took him to 15 states and Canada. In his words: I am greatly looking forward to getting to do exactly what I need to do at this time in my life. Who knows how long the Lord will see fit for me to continue to do this? But, right now, there is nothing else I would or could do. This is what I am "set up" to be doing. Once again, I will be taking a simple approach to concerts. I’ll be traveling with fellow musician Matt Wilson (bass, upright bass, percussion, guitar) and Kevin Synan on the sound board. I have been told that I am doing the best concerts I have ever done. I know this...the songs are speaking more than ever and the message is going forth strong. I have begun making plans for my 5th studio recording. The recording process will start this winter and it is my goal to have the CD finished and "ready to go" by the late-summer of 2009. I am excited to share the new songs that have developed and share from the place the Lord has presently brought me to. I could not do any of this apart form you. Your support, your prayers, your financial gifts mean a ton to me. Your involvement...in this music ministry I have been blessed with...is priceless. I will continue to do what I can to direct people's attention towards Jesus...through concerts and through recordings. It is an honor to have you along for the journey. Mitch McVicker is getting back to basics. 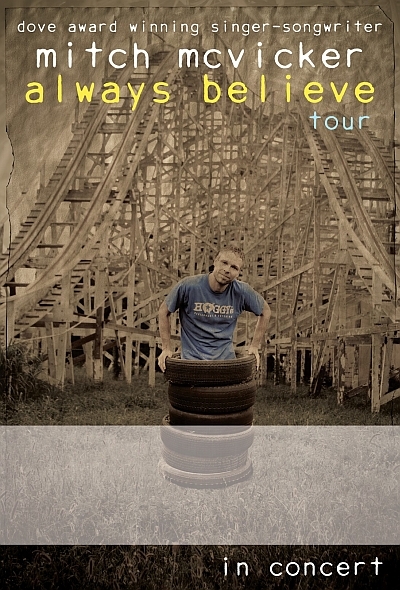 Always Believe, his latest CD, is a conscious departure from what he has done in the past. It has been a labor of love that is everything its name would indicate. "This recording process was simple yet powerful. We tried to cut through the fluff and let the songs really speak", he says. "It took a ton of perseverance and was the most work I have ever put into a recording." Yet, he adds with a smile, "It was the most creative process I have ever been a part of." For the first time McVicker sat in the producers chair co-producing the project with longtime friend and cohort Michael Aukofer. The studio used to record Always Believe was located in a dusty, rural Kansas farm town and, McVicker says, "the setting was perfect". "The only thing to focus on was the art and the message. After all, Wellington touts itself as the wheat capital of the world, so it all makes sense!" he laughs. "It's all a part of the journey." His journey has taken him to 49 states and 7 countries, sharing nearly 1000 concerts. He has garnered multiple awards, including a Dove Award for "My Deliverer", a song co-written with the late Rich Mullins. Yet, for McVicker it is not easy. While on the road, he does the driving, along with the set up and tear down, that comes with each concert. At home, he books his tour schedule himself and handles the day-to-day workings of his vocation. But to him, it is worth it. "I've heard it said that our calling is where our deepest joy and the world's greatest need meet. I know the last thing the world needs is another Christian musician," he muses. "But the world does need the truth. I love doing this, and I get to create and do what I can so that the truth can perhaps be exposed a bit more." There has been no greater creative influence on McVicker's life than the aforementioned Rich Mullins. He spent years traveling, performing concerts, writing, and recording with the award-winning, chart-topping, countless-album-selling Mullins. Then as the two were on their way to a concert, they were in a carwreck. The crash claimed the life of Mullins and left McVicker in critical condition. He suffered collapsed lungs, broken bones, was left in a coma, and hospitalized for 7 weeks. His recovery lasted years and the experience infuses everything that McVicker does to this day. "I miss Rich a ton," he says. "Going through that scared me a lot. But, I am grateful that the faithfulness of Jesus persists when mine lacks. The Lord makes us, and often He seems to use that which is hard." He goes on, smiling wryly, "But most good things are hard, and most hard things are good. " It is with this sentiment that McVicker continues his rigorous, hundred-concert-per-year tour schedule and carries with him th theme of his latest CD. As he embarks on his Always Believe Tour, he echoes the CD's opening track, "15 Minutes" when he says "I can't worry about the weather...the climate of life. We are called to trust and believe regardless of the experiences we encounter. In life there is trouble; but in trouble, there is life. Here it is, Everything Shines! I am trying something new. I just released a mini-CD called Everything Shines. It is a 3-song CD, and it is not a "pre" to something bigger. It is its own thing. Sonically, it is as good as the longer CDs I have done in the past. Everything Shines, is made up of three new songs that I have no intention of recording again. So, there is nothing more coming, except for the next mini-CD. I am still on the Always Believe Tour. Always Believe is still my "new record". But now there is a bonus...Everything Shines. This is my new approach. Instead of waiting three years to record 12 songs on a long CD, I am going to record 3-song mini-CDs every nine months. For me, and hopefully for those of you that come to concerts and listen to my music, it will keep things more vibrant. There will be no lull or waiting period for the "next thing". The next thing will always be happening. (and, not to mention, a lot cheaper) It is my intention to have new recorded music every year. The concerts I do are always morphing, changing and growing, and now the CDs I record will be a reflection of that as well. I think this is a closer representation of God's activity in our lives. With God, the next thing is constantly happening. God is always at work on us...ever-molding us, ever-shaping us, ever-making us. Sure, we can settle into the mundane and take it all for granted, but then we are not taking advantage of the opportunity and the gift that the Grower and Giver graces us with. But as we become our true-selves, the "next thing" is a constant. So here it is! Everything Shines. It is my prayer that I will always believe that everything shines. This record is the next successive step. After listening rather intently, one listener said that "Renovate Me", the opening song on Everything Shines, is a continuing thought of "Fifteen Minutes", the opening song on Always Believe. I smiled. second release in what has become his series of smaller offerings, produced more frequently. chair, and called on ultra-talents Michael Aukofer and Carter Green. The three of them locked the doors and immersed themselves in the recording of the 5-song CD. Jesus, and living out our call to love, surely doesn’t alleviate pain and doubt. We do our best to hang on and walk through the Kingdom of God with the shoes we’ve got. And many times, it’s dark”. bones, collapsed lungs, a coma-induced head injury, and a long recovery. doesn’t go through struggles and find themselves wandering what is going on? 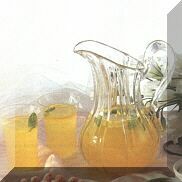 Questions mount as hard times increase and difficulties grow”. McVicker states as bluntly as he can, “If you say to yourself that doesn’t describe me, and things aren’t hard like that for me; I say, you are one of the pretenders”. MARCH 7, 2013: UNDERNEATH, TOUR, RADIO! Underneath is out! I am extremely pleased with it and I am excited for you to hear it! 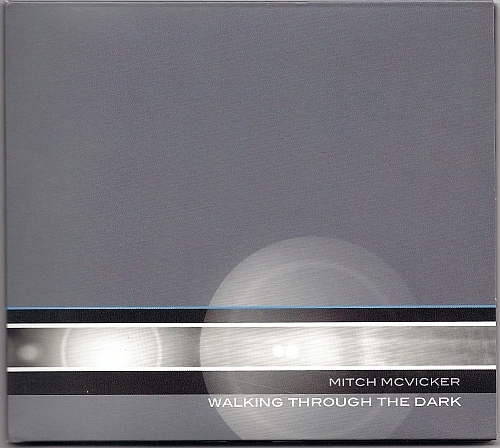 These days, "out" means that Underneath is available at www.mitchmcvicker.com, on itunes (and other internet digital music sites), and at concerts. There is some in-store distribution that is pending. This spring, my concert schedule will, once again, have me criss-crossing the country. Hopefully, the Underneath tour will come your way. I would love to see you at a concert. Thank you all for your gracious support of this my ninth album. I am moved that so many of you decided to partner with me in Underneath's creation process. Now, it just comes down to creating some awareness and getting it out there! When one believes in something, one wants as many people as possible to know about it...and that is definitely the case with Underneath. In a week or two, "Savior, Savior" will be the first song released to radio for airplay. Who knows what lies ahead? But this is one aspect that could definitely help in creating awareness for Underneath. I will let you all know when "Savior, Savior" is "hitting" radio. I look forward to our continued partnership and to what Underneath is yet still becoming. 2013: UPDATE ON NEW MUSIC! SUPPORT THE NEW ALBUM ON "KICKSTARTER"! The time has come to record once again. This new recording will be called "Underneath". Unlike like my last two CDs, which only had a few songs, "Underneath" will consist of 10 songs. I believe "Underneath" will be my best recording to date. The release date is coming soon. "Underneath" will be out February 22. Much of this record deals with the practical, earthy truths and the mysterious beauty of the kingdom of God. The songs have been inspired by Jesus' sermon on the mountain, in which he teaches that the kingdom of God does not lie on the surface. And that's the main theme you will find running through "Underneath"
I NEED you in order to make "Underneath". I have started a Kickstarter campaign to raise the funds that I will need to pull this off. believe in "Underneath". I believe you will like this album and like being a part of it's creation. In making a financial donation in support of "Underneath", you are not merely investing in the record monetarily...you are taking ownership. This is your album. I will do my very best...but this is yours. We are in this together. I have invested much of myself into "Underneath...creatively, artisistically, musically, and monetarily. This is something I WILL do. But the level to which I am able to do it will be determined by the graciousness of givers. This project is something I HAVE to do. I am compelled to do this, driven to do this, and dare I say, called to do this. Please go to the side link www.kickstarter.com on the left and consider partnering with me in the creation of "Underneath"
The money that is raised will go towards several things. It will fund using a top of the line studio, a first-class sound engineer, wonderful musicians and their travel expenses, and a great job mixing and mastering the CD. It is going to fund the design, packaging, and physical manufacturing of "Underneath". And, it will make promotional efforts (getting word out about "Underneath") possible. othing that I have mentioned above will be done half-way. I have been entrusted to do this, and like I said, I want to do the best I possibly can. But, this is yours. To one degree or another, we are all walking through the kingdom of God...which is not on the surface...just like this recording. All of my past records have seemed to have flown under the radar and turned into sort of underground movements. "Underneath" will be no different...I believe this will be the case, more than ever. After all, that is the very theme of the this record. When the monetary goal is surpassed, it will not only make for a better recording, but it will initiate better marketing and promotion, higher quality manufacturing, and more extensive touring. I will be overwhelmed with gratitude. Yet, I will not be altogether surprised...based upon the level of gracious support I have received in the past! So, once again, what "Underneath" becomes will be determined by your "givingness". I am recording "Underneath" at Greenjeans Studios in Kansas. I am benefiting from the wonderful musicianship of players; Michael Aukofer, Carter Green, and Dave Sprinkle. I have no doubt that "Underneath" will be as artful and creative as anything I have done...maybe more so. These guys are all accomplished multi-instrumentalists. We are coming together from all over. Michael is coming from his home in Chicago, Carter hails from Kansas, Dave is coming in from his home in Arizona, and I will be coming from Atlanta. I would be moved to partner with you in the creation of "Underneath". Many of you have been super supportive of me in the past...and I am so very grateful. I can't wait for "Underneath". Let's create it together. It is quite possible that we are never more like our Creator than when we are creating. .Ragamuffin's film crew will utilize approximately a dozen of Mitch's summer concerts to film the movie's various concert scenes. The tour's concert venues and audiences will be used as Ragamuffin's actors, Rich and his band, play a couple songs. The songs will be filmed live and this will all be, in essence, a 20-30 minute opening act. I am excited to begin…again. Yet, my resolve remains the same. My mission is steadfast. I am undistracted from my purpose. This journey is not new. But now, with "Walking Through the Dark", I am taking a fresh approach. The new CD, and the tour that is coinciding, is the latest installment in my exploration of what it means to live in the Kingdom of God. I look forward to partnering with you on this journey. For, we are all on the same journey. We are all wanting and needing to become more our true-selves and walk through the Kingdom in a real way. After nearly four years of doing solo concerts, Mitch will be joined onstage by a supporting musician this summer. Dave Sprinkle will play bass, keys, percussion, and guitar. This will add yet another interesting layer to Mitch's already dynamic concerts. You don't want to miss this! Mitch and Dave's friendship goes back a long way. Dave is a missionary who runs a traveling music school for Navajo and Apache kids in Lakeside, Arizona. This vision was first expressed by Rich Mullins in the years Rich and Mitch were roommates on the Navajo reservation in New Mexico while doing concerts and writing songs together. A traveling music school, on the reservation, never became a reality for Rich. However, Dave and Lisa Sprinkle have brought the vision to life and call the school Hope in Transit. Visit www.hopeintransit.com to learn more about the Sprinkles' ministry. His music career has consisted of 1500 concerts and 10 albums and with his is latest project, McVicker looks towards the mysterious grey love of God. He says, “I hope the songs remind us that God’s all-encompassing love connects with us in all situations and through every circumstance. 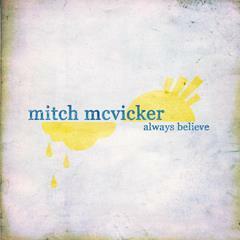 After growing up in Kansas, McVicker began working with the late, great Rich Mullins. The two of them performed concerts together, wrote songs, and were roommates. Then, McVicker was in the car wreck that killed Mullins. Shortly after Rich’s death, and while Mitch was still deep in recovery, the two won the GMA’s Dove Award for song of the year, for their writing of “My Deliverer”. After a lengthy recovery, he began his own musical journey. 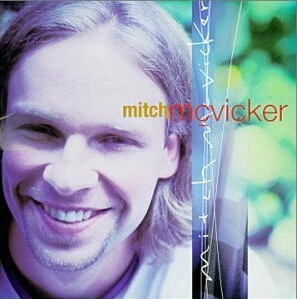 Rich Mullins has influenced Mitch McVicker’s thoughts as much as he has influenced his music. 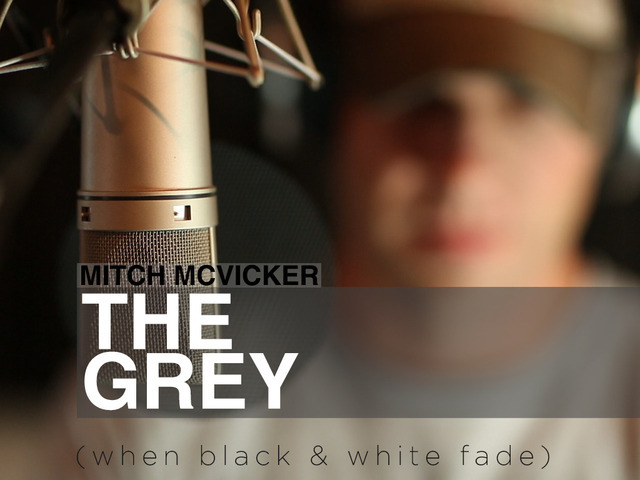 The Grey (When Black & White Fade) is the deep-lyriced, folk-rock that McVicker’s loyal listeners have come to love and expect. However, this self-produced endeavor is being lauded as his most artful and expressive project to date. McVicker has possibly never sounded more intimate and beautiful than in “Being Held” and “Seashells”. With “I’m-A-Goin’”, McVicker combines lush strings, driving beats, and ’60’s story-telling. People from all walks of life relate to the raw and truthful hope found in the earthy authenticity and modern sounds of "In Other Words” and "Still Afloat”. In the rock ballad “Into the River”, McVicker tells a tale of painful peace with a gut-wrenching mix of this life’s hopelessness and other-worldly hope. Mitch lives in Atlanta, Georgia,wears all the hats required of a music career. He handles booking, creative and visionary management, publicity, tour management, recording, merchandise management, promotions, etc. McVicker states, “For Jesus, life is lived from the heart, soul, and spirit. He speaks of life being fueled by grace and led by an all-encompassing love. So I think calculating, measuring, and keeping track of our actions, and everybody else’s, just clutters the space in which love McVicker says he will continues to perform concerts and record albums “for as long as the Lord sees fit”, and summarizes, “I have often colored within the lines simply because the lines were there. That’s easy. That’s comfortable. But that’s not the call. McVicker says he will continues to perform concerts and record albums “for as long as the Lord sees fit”, and summarizes, “I have often colored within the lines simply because the lines were there. That’s easy. That’s comfortable. But that’s not the call. 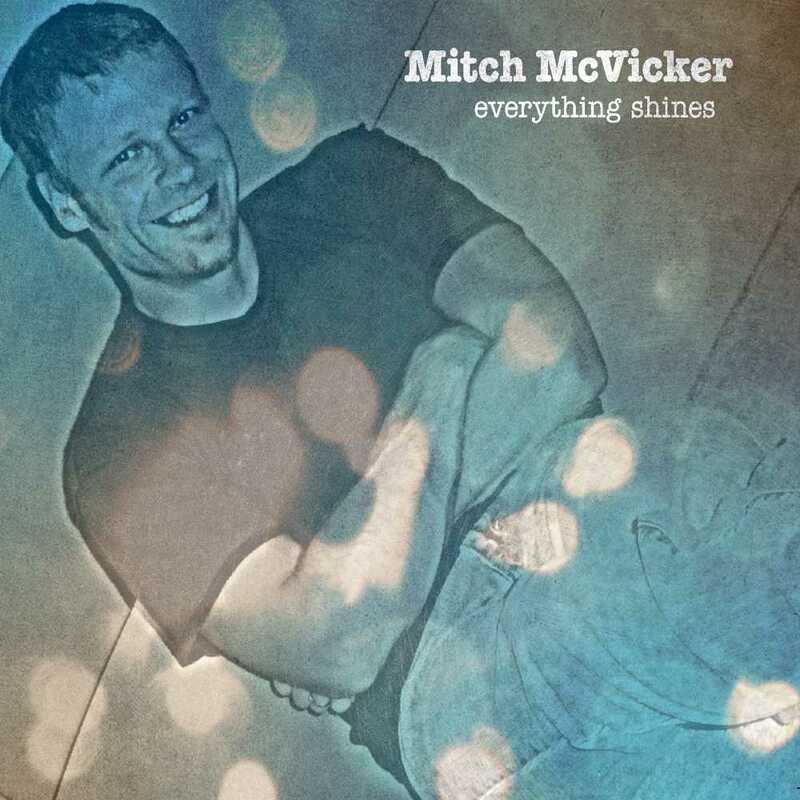 Mitch McVicker has been giving concerts and recording albums for 15 years. His 1300 concerts and nine albums have taken him to 49 states and 12 countries. * I Need You Jesus. "Prayer for energy is always nice, once again. And prayer that my passion for Jesus and this vocation isn't squelched by the travel and "business" of doing this. And rather, that it would be renewed each day. That I could be less caught up with doctrines and ideas, and more caught up with love."